« Bag No. 15 (Forest Babies) – up for auction! 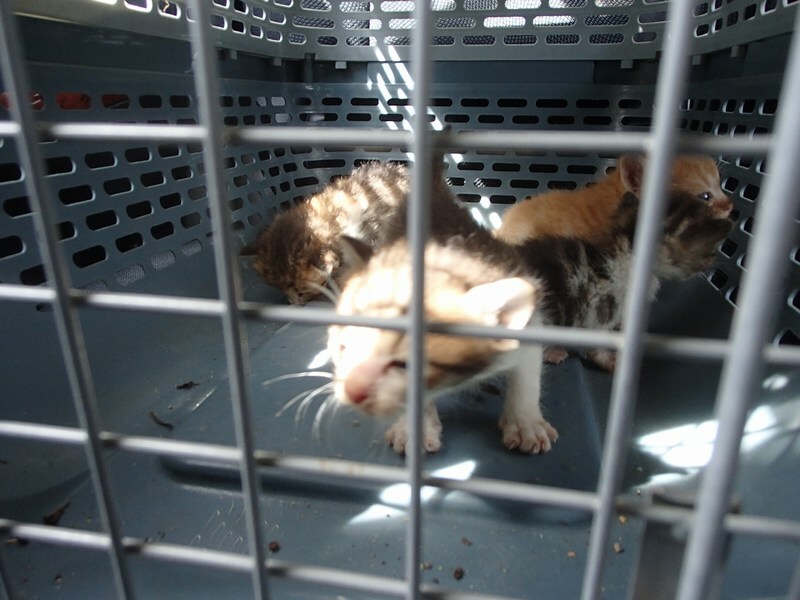 http://myanimalcare.org/2014/07/06/a-sunday-rescue-story-8-adult-cats-and-4-babies/6 adult cats, 2 adolescent ones and 4 tiny kittens were left homeless when people complained about their presence in a commercial area. 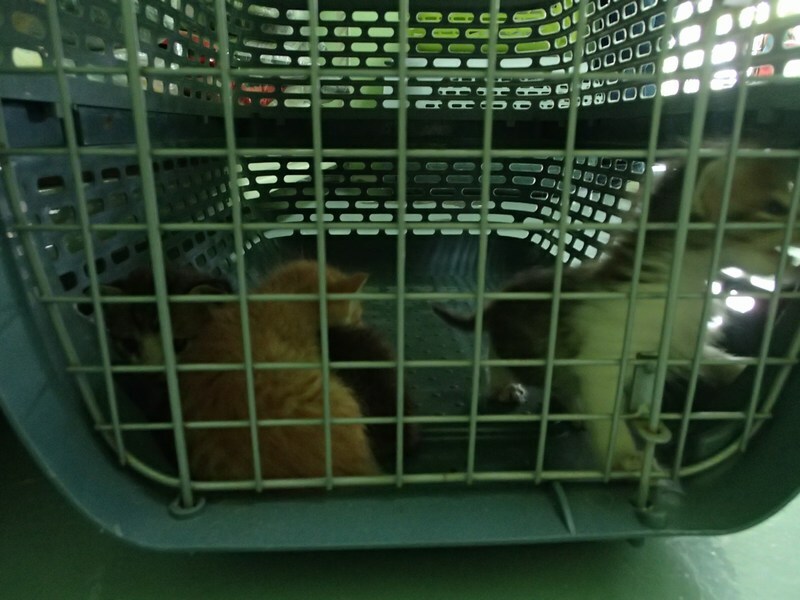 They used to live there as community cats and there is a feeder, but the people who frequented the place complained and to avoid capture, the feeder had to surrender them. 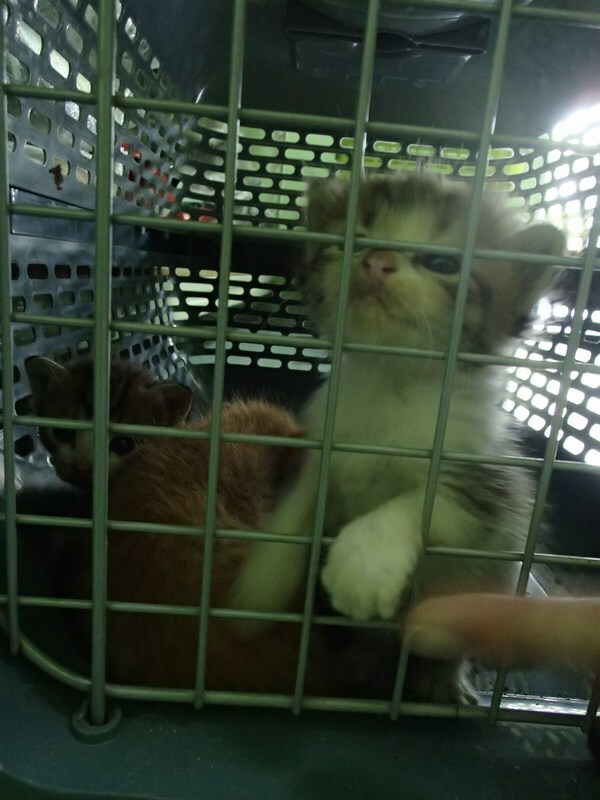 We went to pick them up today and brought them to the vet’s for a check-up. These are the 6 adults and 2 smaller ones. These are the four babies. There is no mother-cat. All of them look healthy. 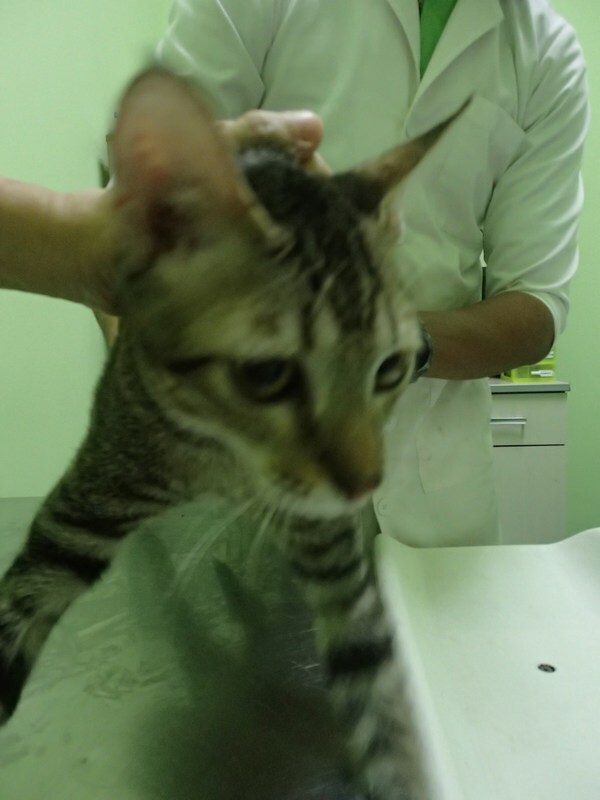 They could be medium-length haired cats too, and their markings are beautiful, according to the vet. 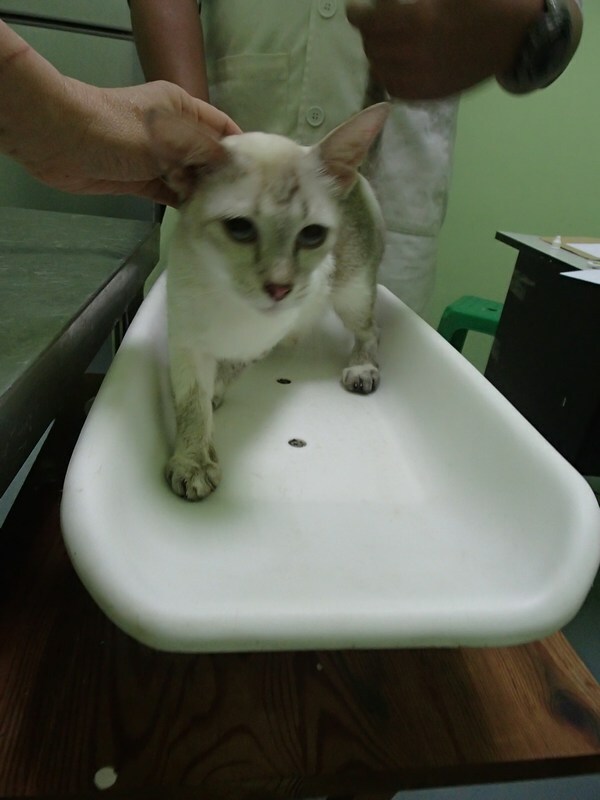 The vet was so kind, he says he will help look for adopters for them among his clients, but if you are interested to adopt them, please write to me at chankahyein@gmail.com. According to the vet, these babies are estimated to be about 2 months old. They will be given kitten milk and AD. 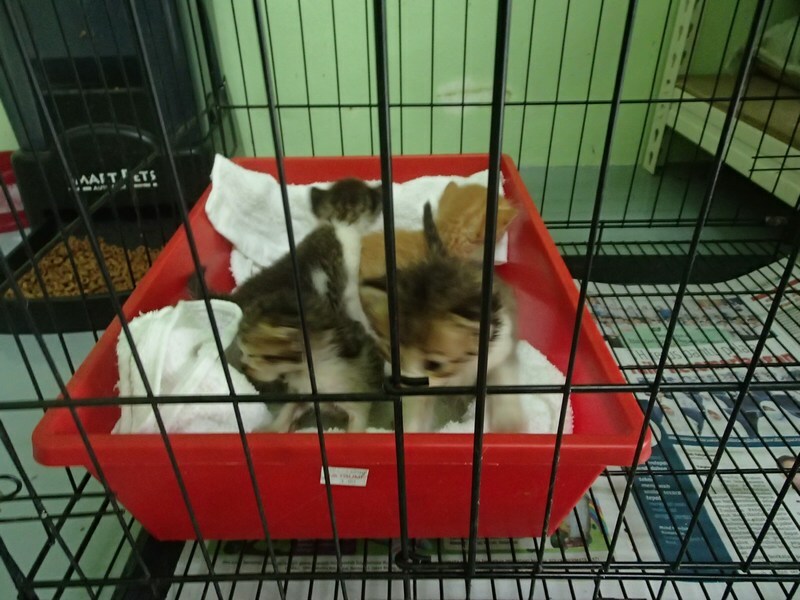 Updates on 7th July 2014: These four babies have been adopted to the same home!! 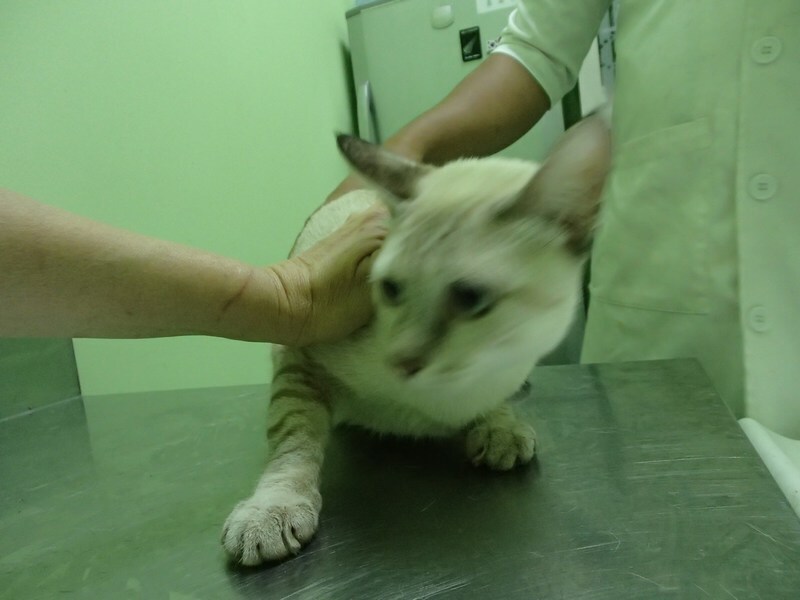 This is a female Siamese-mix, about 4 months old. The grey tabby is a female, almost estimated to be about 4 months old. An adult female, could be pregnant. An adult male, looks like a Mr Zurik-type, but is very friendly. A sister from the Brotherhood of Indies! Another female and she is definitely pregnant. All these cats are for adoption. If you would like to adopt any, please write to me at chankahyein@gmail.com. All have been dewormed. Those with slight eye discharge have been given eyedrops. The vet does not see any health problems in them today. 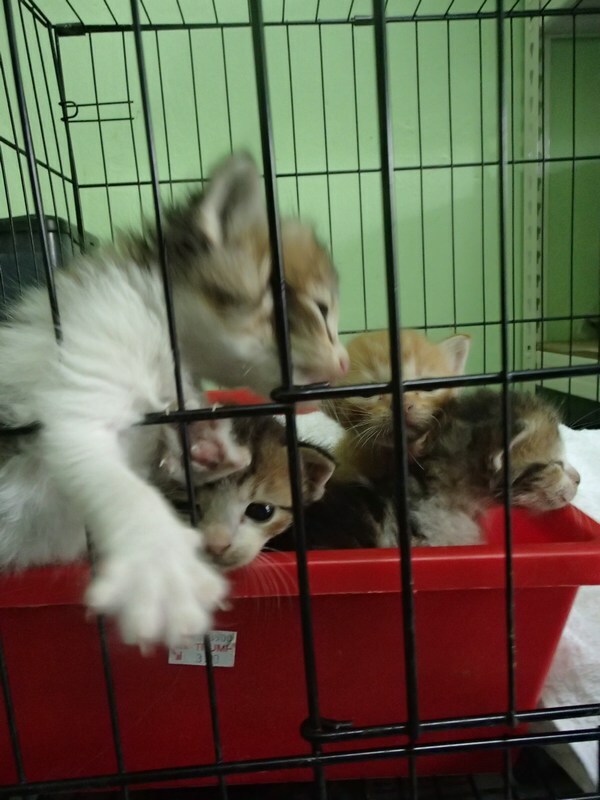 All adopters are most welcome to apply for our funds for the neutering of these cats (not the pregnant ones, those have to deliver their babies first). 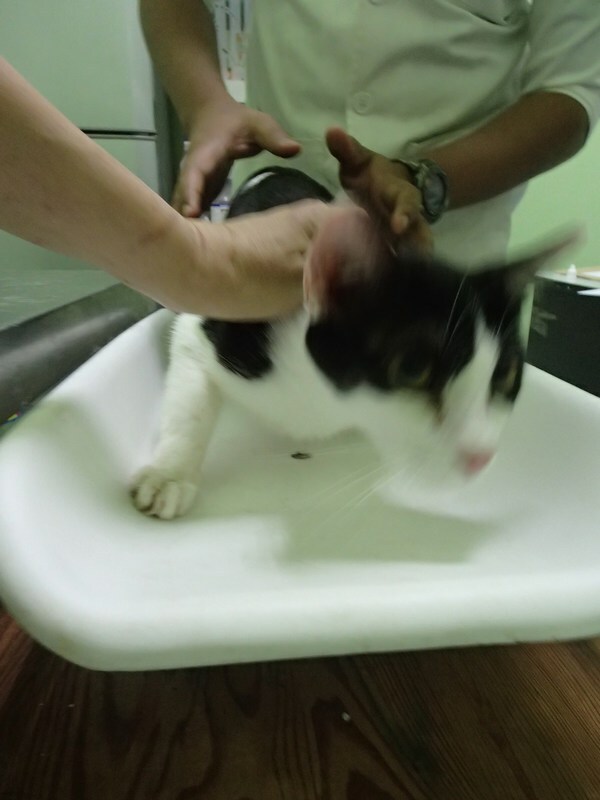 All 8 cats will be vaccinated once before adoption and we will sponsor that. 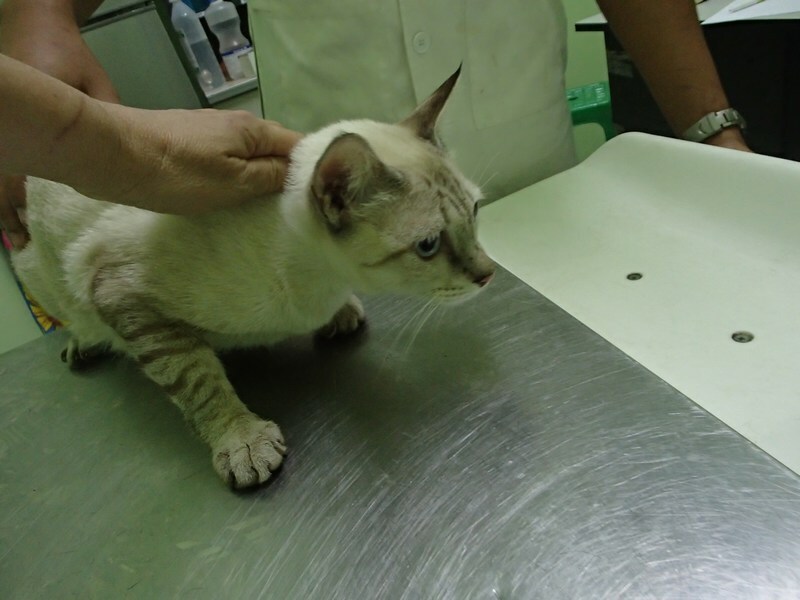 The adult males (above 1 year old) will also be neutered, charges borne by us. 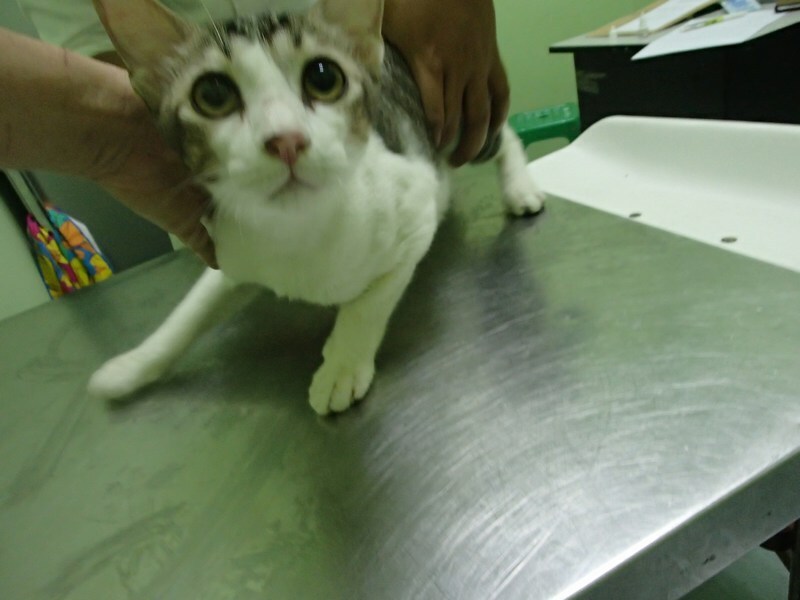 The non-pregnant adult females will be neutered after a one-week observation (to ensure they are not pregnant). 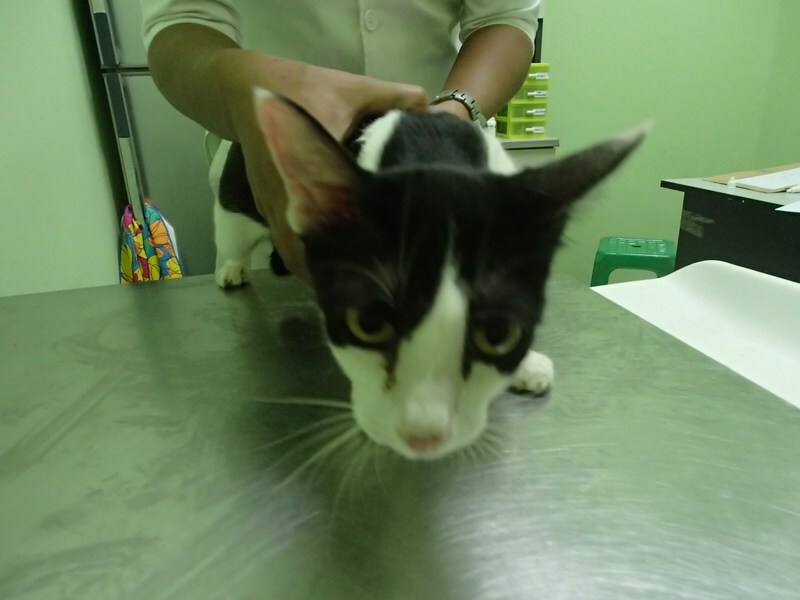 Should you wish to adopt immediately, you are still welcome to apply for our funds (for neutering and one more booster vaccination done before 30 days from the first vaccination). Our policies apply: www.myanimalcare.org/subsidy/. Please write in for further details. These babies are really cute, and they too are up for adoption. They have been dewormed. 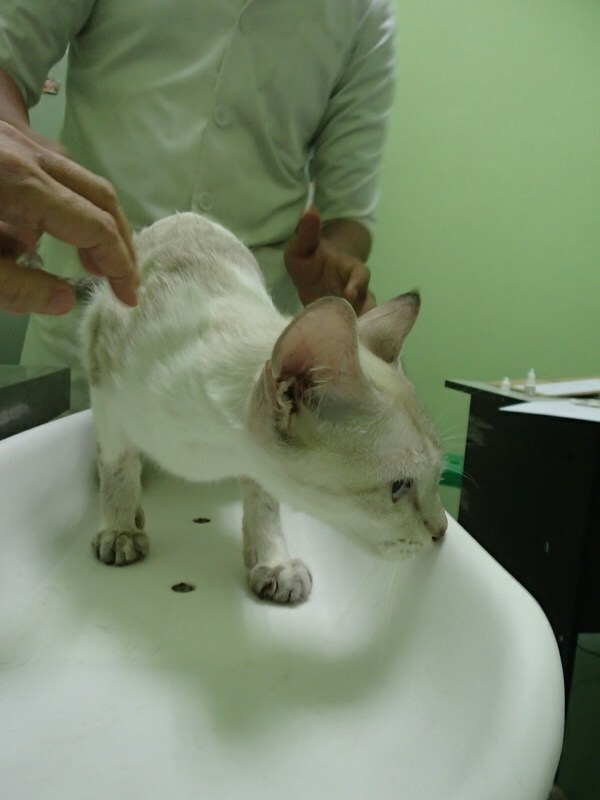 The vet will help us look for adopters too. 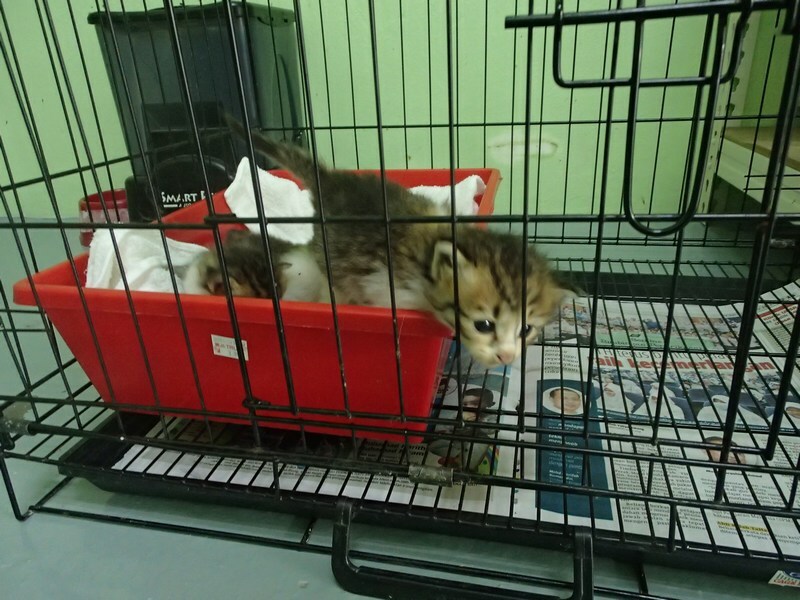 Let’s help these cats and kittens find good homes. i dont think the kittens are 2 months old, they look at most only 3-4 wks of age n would still need milk. Dear Jay, Thank you very much for your concern. That’s what we thought too, that they are only 3-4 weeks old. 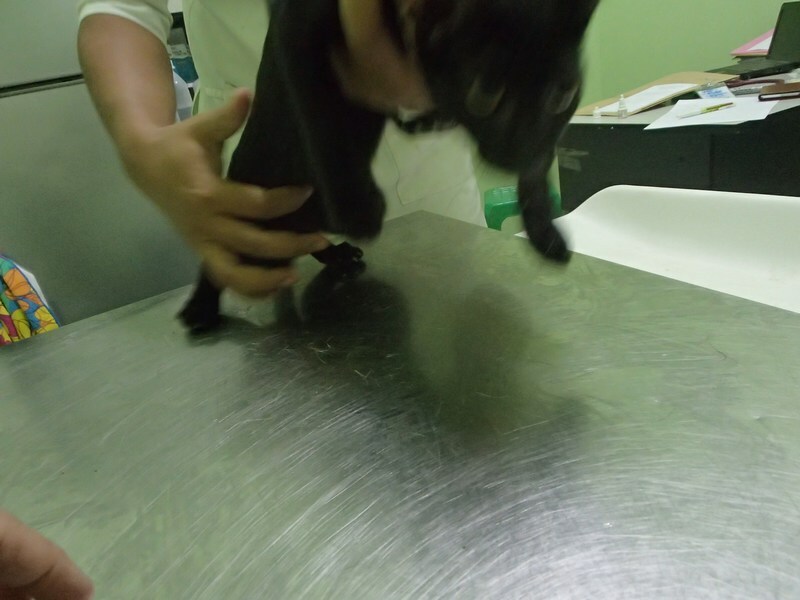 But the vet examined them and said they were already 2 months (probably based on their teeth). 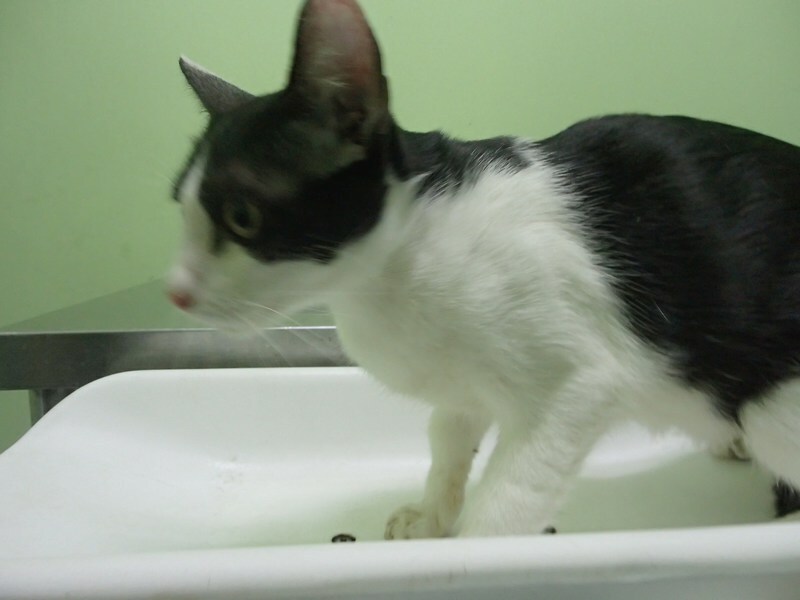 In any case, the vet is taking care of them and giving them kitten milk and AD, so we trust they are in good hands. Your concern is much appreciated – thank you! Is the all black ninja still available? Dear Jojo, Black Ninja has already been adopted. Thank you for your interest.